Solon the Athenian was a great philosopher and one of the seven sages of ancient Greece. However, he’s mainly remembered for being the legislator who laid the foundation for Athenian democracy with his reforms and efforts to legislate against political, economic, and moral decline. He was born in 640 BC in Athens and came from a very well-known and highly respected family with a lineage going back to the last king of Athens, Codrus. His father, Execestides, was the one who took care of his son’s education and made sure to teach Solon to treasure his life experiences, social values, and human relationships more than anything else. Maybe this is the reason why Solon, even though he had everything necessary, never gained great wealth and property, and when he lost his small fortune, he left Athens for Egypt and Asia Minor so he could observe new civilizations and enrich his education and thinking. On his journeys, Solon did an in-depth study of foreign cultures, laws, and the political and economic life and ethics of other countries. He effectively used the skills and experiences gained on these expeditions for the social and economic recovery of Athens. Solon had already gained the trust of the Athenians through his poetic work. He was also an elegiac poet and he wrote an elegy entitled “Salamis,” which urged the Athenians to regain (conquer) their beloved island, Salamis. Only eight verses survive from this elegy today. Solon also wrote political elegies, of which longer examples are extant, thus allowing us to have a better idea of his writing style. In these remaining writings, he mainly focuses on his political views and reflects on patriotism and love of justice. With his fiery writing, he influenced, encouraged, and excited the Athenian public who were suffering under Draco’s harsh laws and brutal legal system, while he pointed out that the city’s misfortunes and the struggles of the lower classes were a result of the people’s lost freedom because of debt and the unfair economic system. 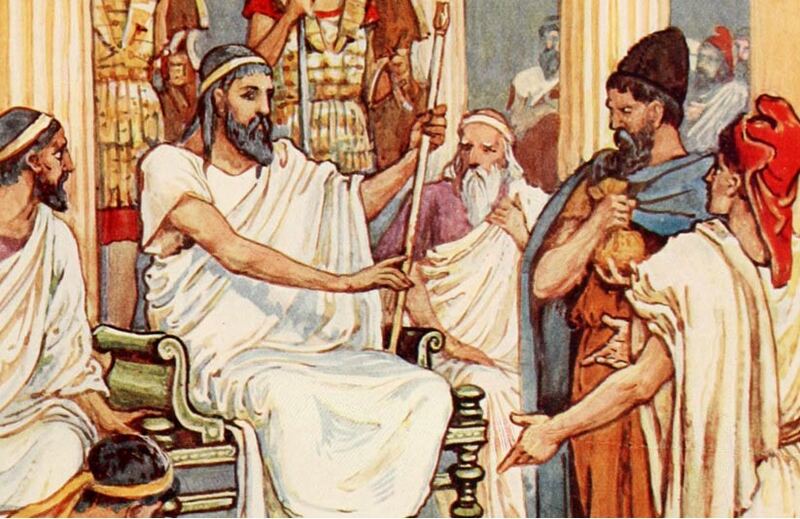 This became one of the main reasons why the Athenians elected Solon as their legislator and gave him the absolute power to restore the lost peace and change the city’s laws and institutions in 594 BC. Solon’s legislation was very bold and drastic, reflecting the immense size of the crisis in Athens that he was called upon to cure. 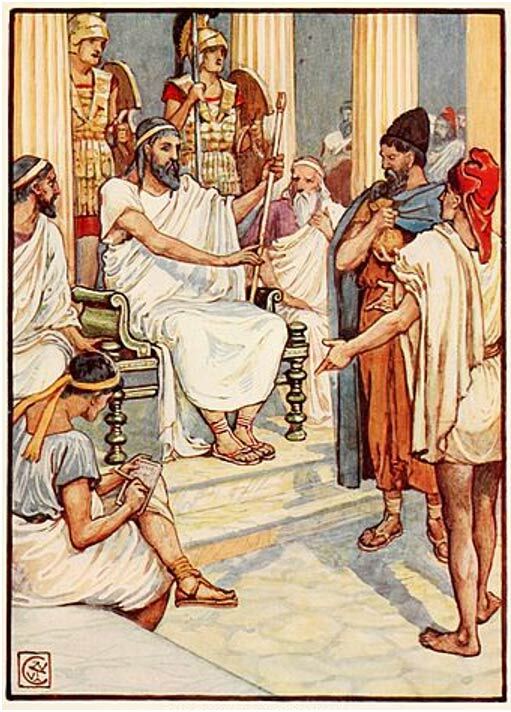 Based on the principle of inequality rather than equality, as he tried to maintain balance between the social classes who were ready to start a civil war, he laid the foundations of a new form of government that would reshape not only Athenian society but would be considered the most perfect and righteous to this day, almost 2,500 years later. One of the many reforms Solon introduced into his society was the absolute right of the local citizens to choose and elect their own rulers through the voting system. He also came up with a revolutionary law named Seisachtheia, which freed the slaves and citizens from the unfair, irrational debt the previous Athenian government had forced them to pay. Solon also divided the citizens into four classes based not on their origin and lineage as had traditionally been done, but on their property and wealth. However, based on this social division, the richest people didn’t just gain extra privileges, but greater responsibilities such as paying higher taxes and contributing more to the city’s common causes since they owned more and could do so. The fourth class, the poorest, didn’t usually have to pay any taxes, thus giving them the chance to improve their economic status and become more productive and one day contribute more. Additionally, he reorganized the military, in which now only citizens from the first three classes served as soldiers, and only men from the first two classes could serve in the cavalry as long as they took care of and fed the horses using their own money. From the poorest class, only the tallest, strongest, and most athletic men were drafted, usually during war or an emergency crisis, and only after the treasury committed to cover their personal and family expenses. The rulers (archons) were elected from the first class and members of the Council of Four Hundred were chosen from the first three classes. Solon created this council, and its members were elected for one year. He also established the people’s justice court called Heliaia, which consisted of six thousand citizens and where, for the first time, people from all classes could express their grievances and even press charges against their superiors and archons. 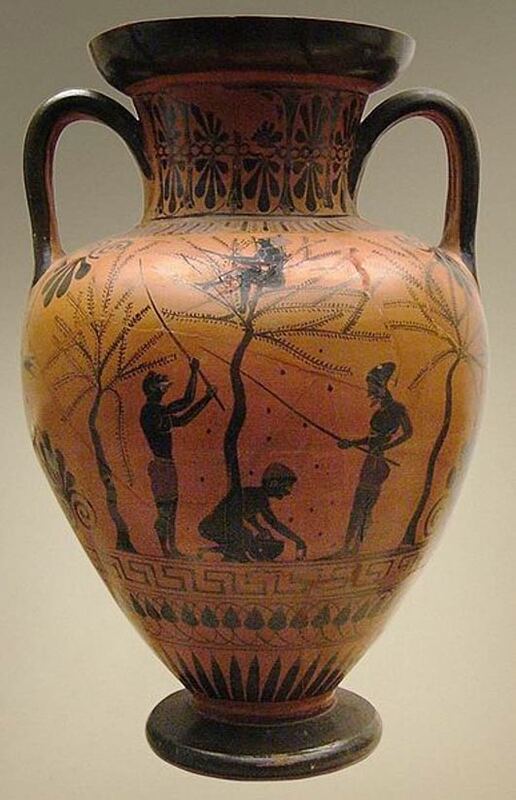 Solon also had the idea to make participation in public affairs obligatory for every citizen while he banned the export of olive oil to other Greek city-states if there wasn’t enough to feed the locals first, because until then the rich merchants, in cooperation with the rulers, used to export it for personal profit without taking into account the needs of the people. However, judging by the tyranny of Peisistratos and his successors (from 561 BC to 510 BC) that followed shortly after Solon’s new legislation, the reforms do not appear to have fully solved the city’s problems as they were meant to, at least not immediately . However, in time, his reforms’ effects had such a deep impact on Athenian society that they continued to be felt even after the period of tyranny was over and eventually became the foundation for classical Athenian democracy. In the meantime, in order to avoid possible interference with his reforms and the application of the new laws via bribery and corruption from the richest and stronger social classes, Solon departed the city for ten years, returning to his previous life exploring new cultures and peoples. During the ten years of his self-exile he visited, among others, King Croesus of Lydia, with whom he had one of the most famous dialogues of classical antiquity. The Parthenon of Athens: An Epic Monument, Or a Mystery in Measurements? “No one can be said to be happy until we see his end,” or “Count no man happy till he dies,” according to different historical sources. When he returned to Athens, Solon found the city in the best condition he had ever seen it thanks to his legislation. With that knowledge, he died in 560 BC a happy old man. Years ago legal communities where the laws and lawyers were the most important part of jurisdiction. The same is continued today as well. Lawyers help people to solve out there legal matters and there are several sources like http://www.jechoisismonavocat.fr/lbpeople/paris_bechara_tarabay who even work today for serving the society. The best lawyer is who has years of experience and can make lot of difference to the people who need them. These famous lawsuits are worth reading.